Are you looking to extend your promotions across Europe as well as to non-European countries? Promotions involving Competitions and Draws are a very sensitive issue, given that every country has different laws and rules both in terms of government regulations and licences and taxation and privacy laws. 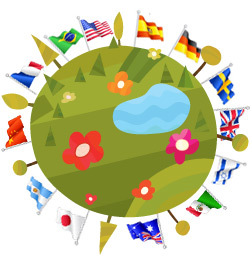 For risk-free international promotions it is not enough just to translate the rules into different languages but rather you need to be sure that you are not in breach of any laws in any of the countries in which you want to organise the promotion. Promosfera can offer an international service having acquired, through years of experience, the expertise needed to organise any competition or draw in lots of countries throughout the world. In an increasingly global market, our staff manage the entire process of "exporting" competitions, taking responsibility for localising prize draws within the current legal framework of the countries in which they are to be held. Our international competition consultancy is aimed at both companies and advertising agencies. In terms of current legislation on competitions, there are major differences between countries when it comes to operating requirements, administrative requirements, management costs and tax systems. With Promosfera you can successfully navigate the administrative procedures required by each individual country without risk.